Endemic species can be either plants or wildlife. An endemic plant or animal has become endemic because it has adapted to its habitat to the highest degree. A variety of geo-mineralogical conditions, elevation and water availability combine to create the basis for desert habitats. 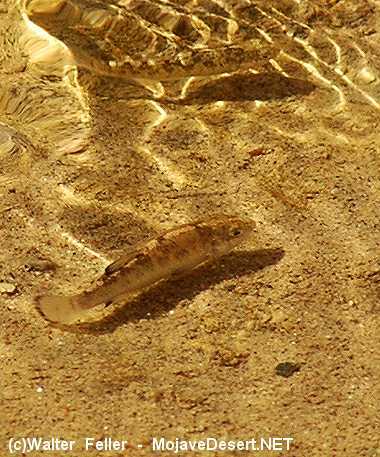 The Salt Creek pupfish are a species native to, and found only in (endemic) Salt Creek in Death Valley National Park.